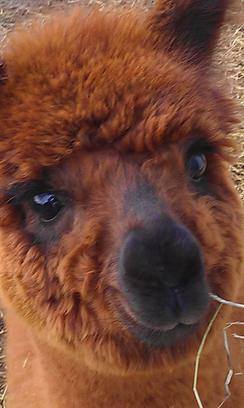 Gwen has personality as well as wonderful fiber. 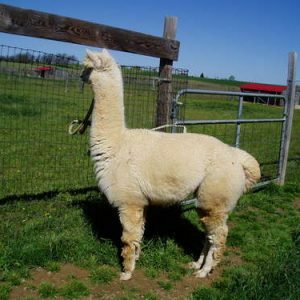 She is the first in the herd to greet you as you walk into the pasture. 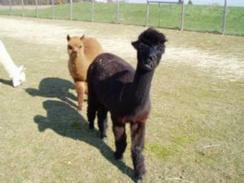 She makes a great PR alpaca and friend. Gwendelyn is being offered as a 3 for 1 price. 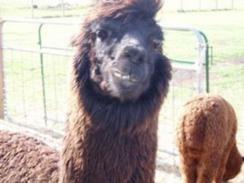 Meaning that you get 3 alpacas for the price of one. 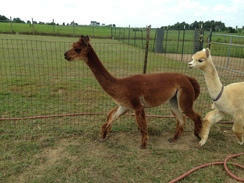 You will get Gwen with her unborn cria along with another breeding to any of our 7 unrelated hersires. Gwen a beautiful daughter of-one-of-a-kind Peruvian Shazam. 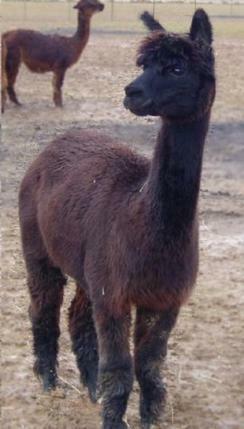 Peruvian Shazam a true black, full Peruvian sire was imported in utero out of a magnificent medium brown peruvian female! Gwen is one of the finest Shazam daughters ever produced. She inherited her sires dark color genetics and rare ultra-fine fiber passed on through the true black Shazam. 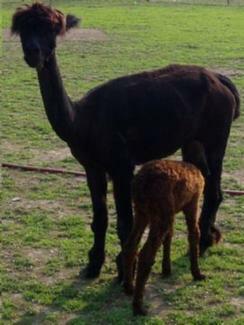 Gwen is a great mom with plenty of milk and cares for her crias. 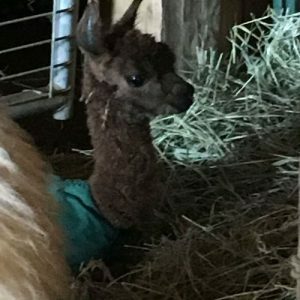 Just so you can see what Gwen can produce, Gwen’s 2011 female cria, named Penelope is on the ranch, very cute, sired by Zephyr.